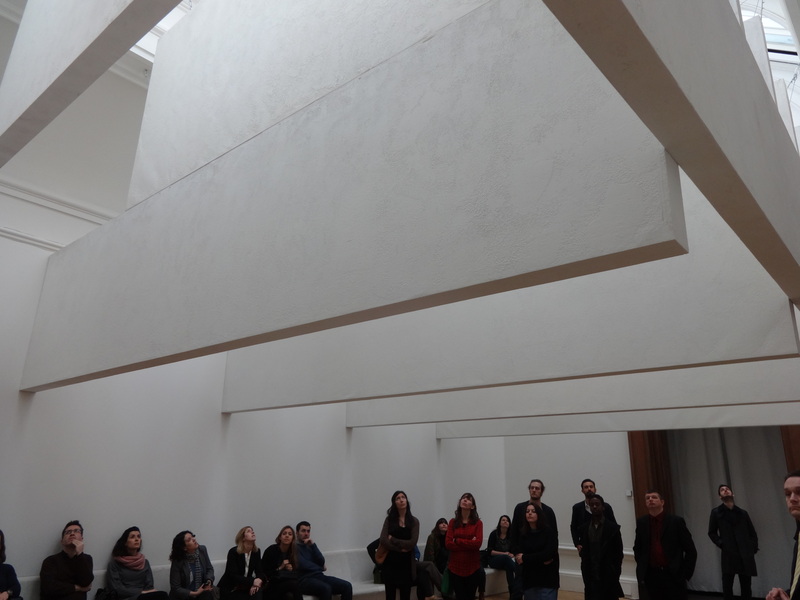 I was fortunate enough to be able to attend a private breakfast viewing of Sensing Spaces at the Royal Academy of Arts this week. 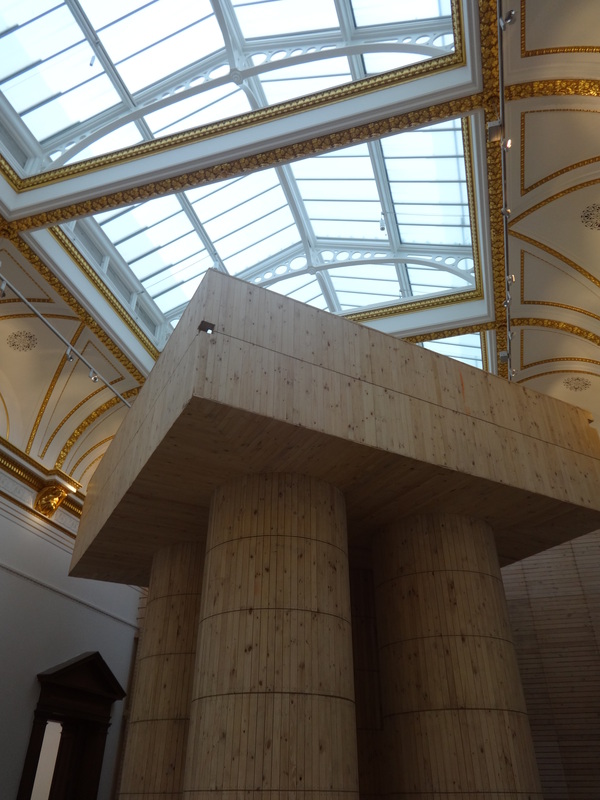 Invited by Pulsar it allowed a small group of us to experience the Architecture Reimagined exhibition in an uncrowded atmosphere, something unfamiliar for a popular exhibition at RA. It was an exhibition I had been meaning to go to, but this opportunity was just the nudge I needed. 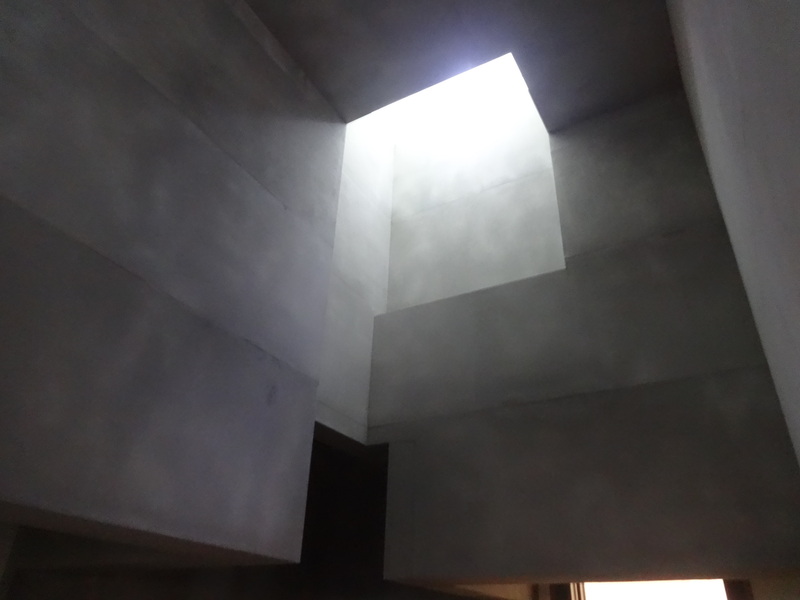 Offering a multi sensory experience of textures, smells, sights, sounds and lighting all combining in different ways to make each of the gallery spaces a unique and immersive experience. This space has been the ‘poster boy’ for the exhibition promo work so I wasn’t surprised that it was the first item we saw, standing above us all in the large gallery space. 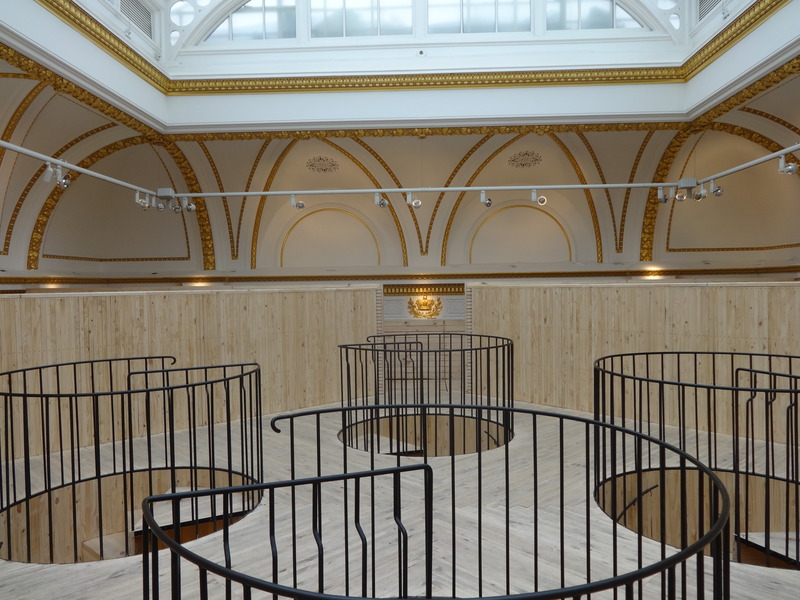 Consisting of four spiral staircases hidden within wooden columns it allows you to make your way to the giddy heights of the gallery ceiling. 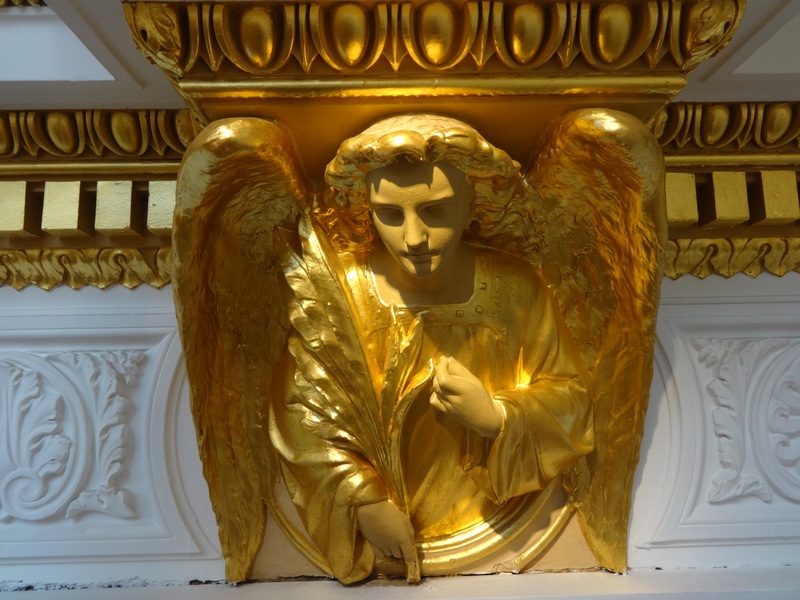 This offers you the usually unseen view of the gallery, the beautifully ornate golden ceiling and puts you at eye level with the angels detailed into the cornices. 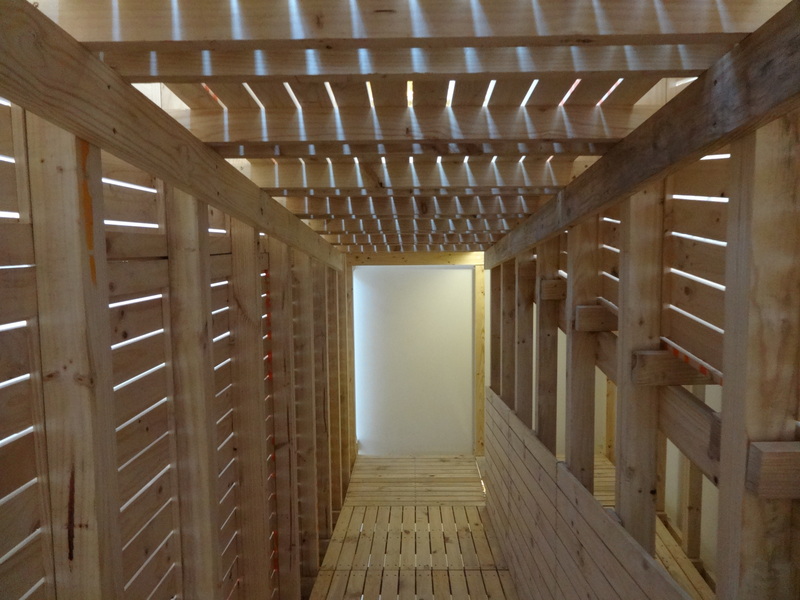 You can then exit the platform down a ramp which, although unlit, gives you snippets of light through the floorboards before re-entering the bright gallery. The first thing I noticed about this room was an unmistakeable air of calm as soon as we walked in. 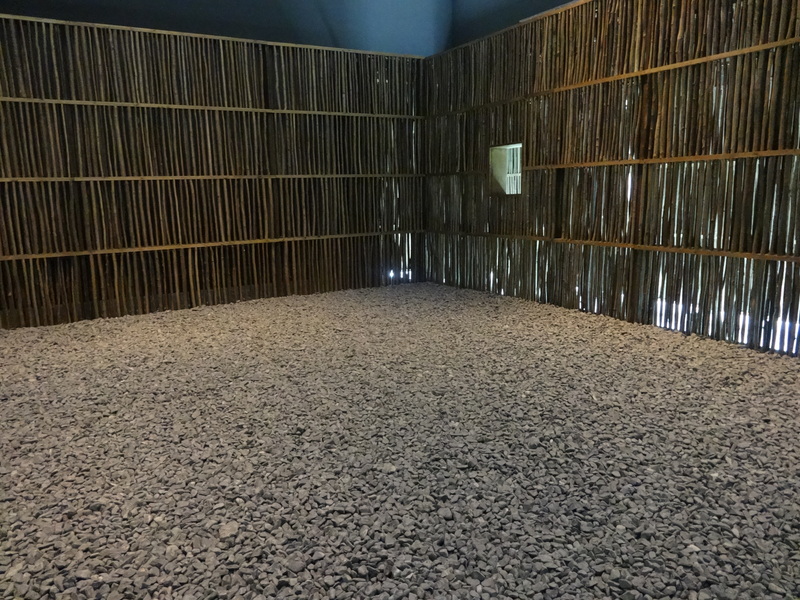 Very low light levels and the scent of hinoki (Japanese cypress) and tatami (straw mat flooring) in the air combined to give a relaxed and welcoming feeling. 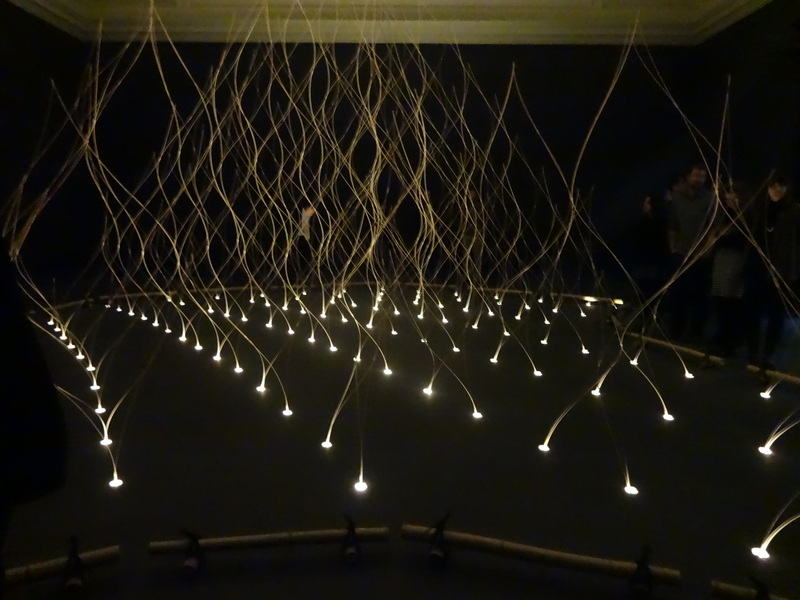 Once your eyes adjust to the relative darkness you notice the whittled sticks of bamboo softly uplit from their base. 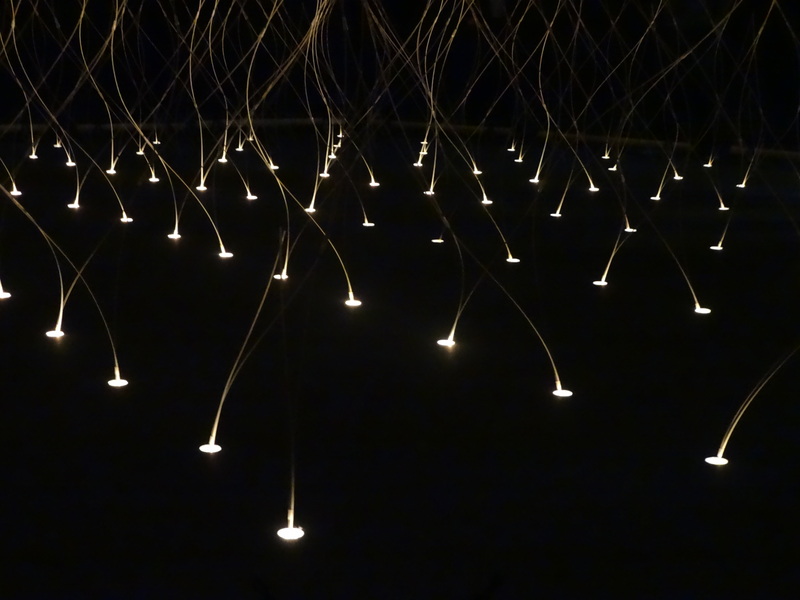 The concept was to “minimise materials but to maximise senses” and he certainly achieved that. 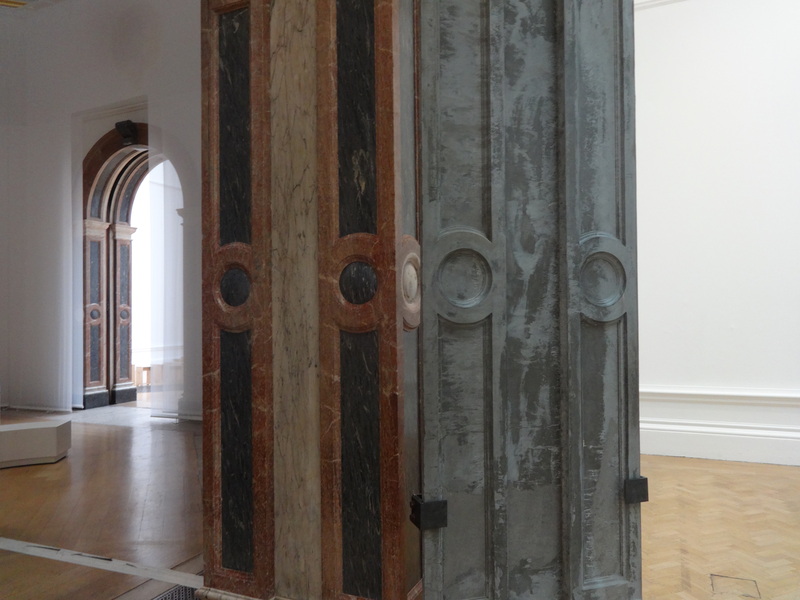 You almost pass through these pieces without realising they are actually part of the exhibition space. 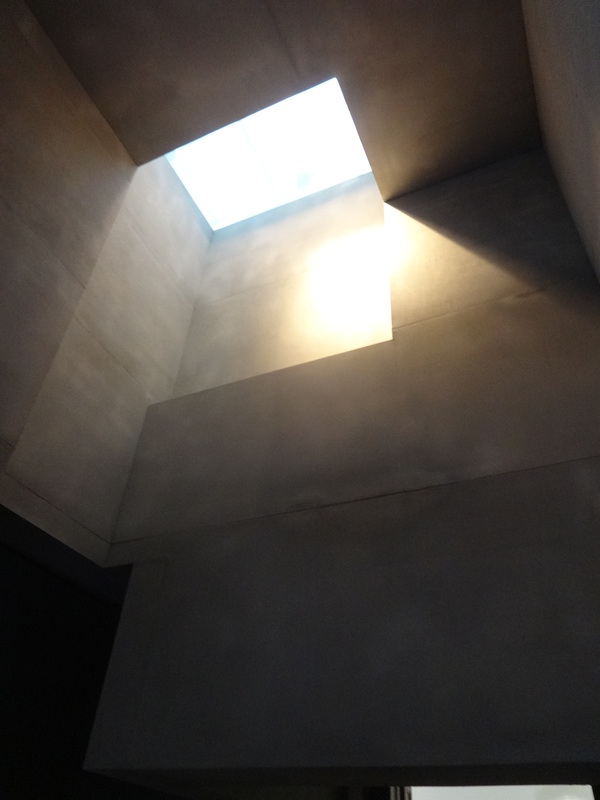 The consideration has been placed on classic architecture and styling constructed with modern materials and techniques, in this case concrete. 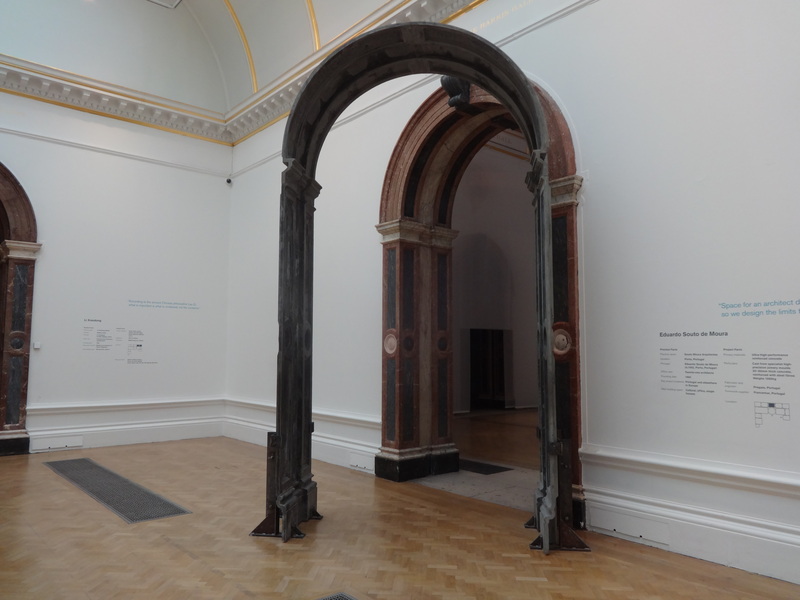 What I really enjoyed was the attention to detail on each of the arches, they looked as if they could have easily been cast from the original. 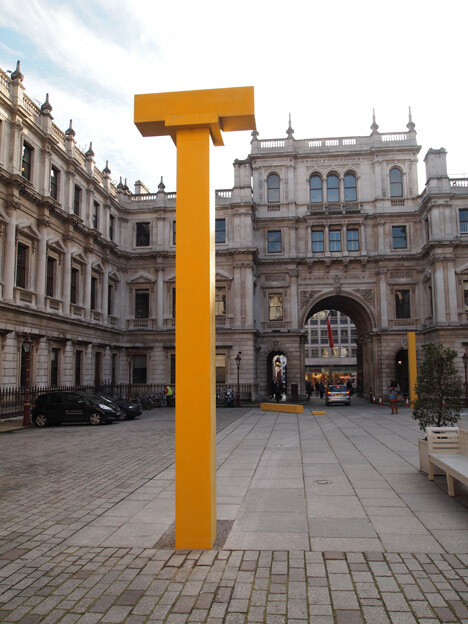 I might have missed this piece if it wasn’t pointed out to us as it is actually outside the building as you approach. Coloured concrete columns dot the courtyard, though looking closely only one is complete. 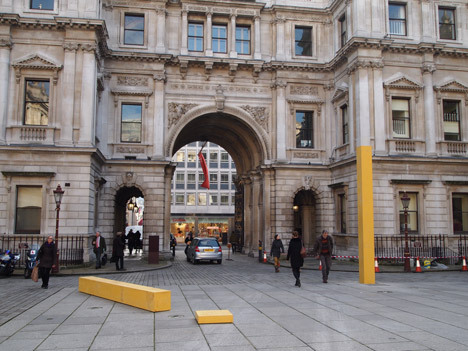 Taking inspiration to imitate the architecture of the nearby Burlington House. This was the one area I genuinely got lost in. A maze of hazel branches eerily backlit by an illuminated flooring system allow you to wander into various narrow pockets and viewpoints. 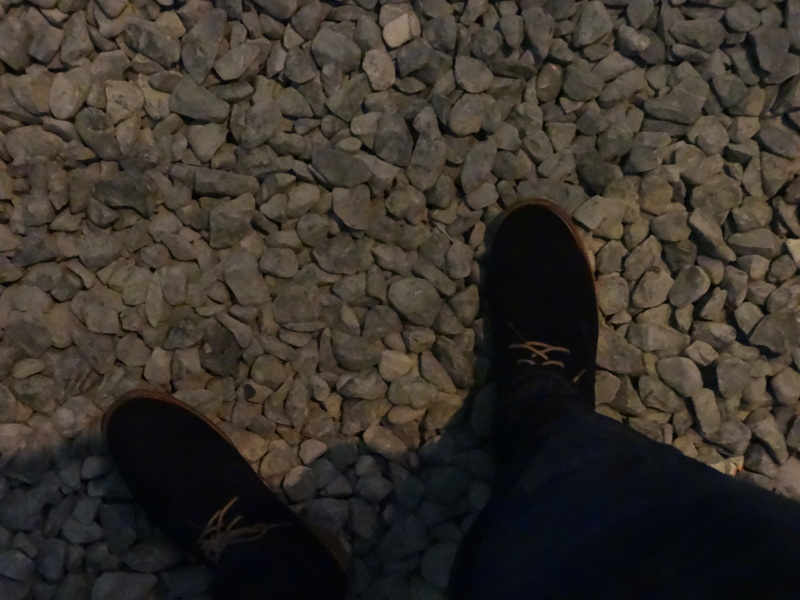 The pathway eventually opens up into a pit of pebbles, a welcome contrast of crunching underfoot that most of us smiled at, like we were doing something naughty in breaking the few minutes of near silence we had exploring the maze. A large mirror reflects the pebbled space making it seem much larger and adding a tranquil sensation as you take it all in. 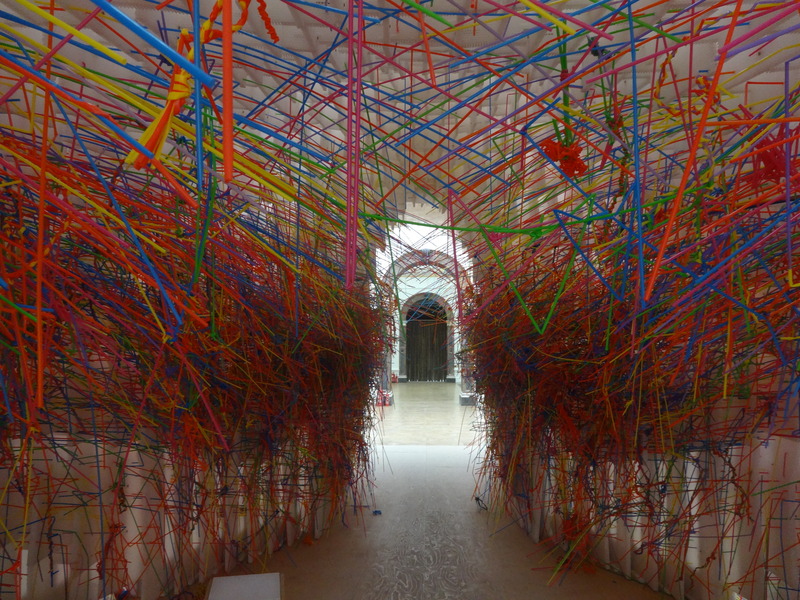 One of the most enjoyable rooms was a white corrugated plastic structure that is accompanied by a box of giant coloured straws which allow each guest to contribute to the structure, making it evolutionary and growing with every person that passes through. This combination of interaction and coloured straws put a smile on everyone’s face, giggling in an almost childlike manner in seeing who put a straw in the highest or most obscure place. 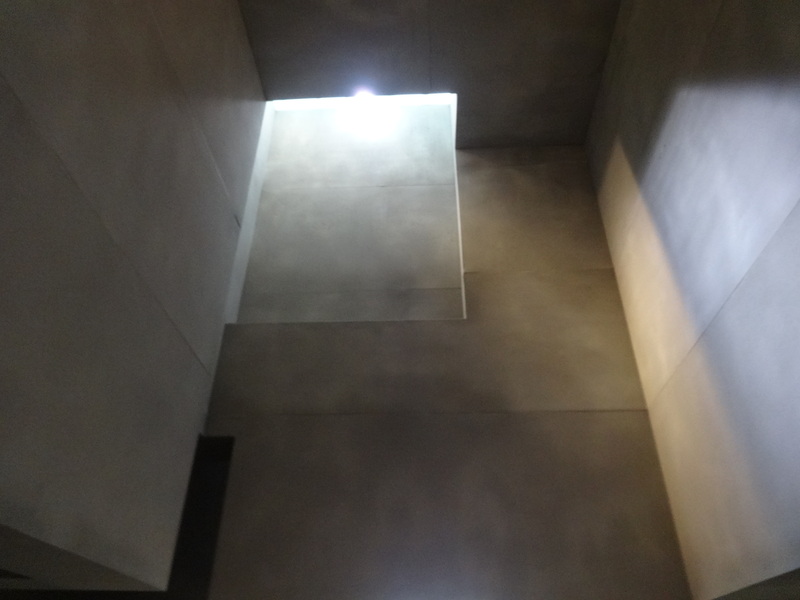 This was actually my favourite space, probably partly because of my lighting design bias. Once your eyes adjust to the adjoining rooms you realise that the light is shifting. Not just in colour, but also in intensity, mimicking daylight and moonlight over the course of 24 hours (courtesy of Pulsar). You only need a few minutes here sitting or standing to appreciate the subtly changing conditions, but I found myself in here for much longer. 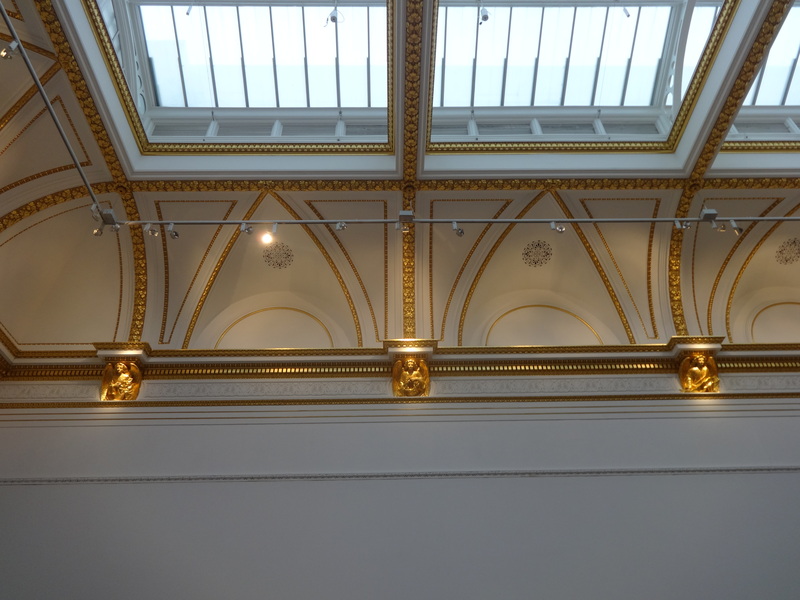 What I really liked about the whole private viewing was the relaxed atmosphere, first walking through each of the spaces with a representative from the Royal Academy giving a brief explanation on each one, and then after I wandered back through them at my own pace. Noticing things I didn’t quite catch the first time around, or seeing something from another angle. Wandering through in any order that you like “you are as much a part of this exhibition as the work itself“, and this encourages you to “reimagine the world around you“. The complete exhibition is brilliant, whether you’ve been meaning to or not I would really recommend going to see it. If you want any more information there is a short video from Kate Goodwin, the exhibition curator, here and a who’s who of the participating architects here.